Editor’s note: Post updated 7/7/17. The following review is on SimCity BuildIt for Android, version 1.17. You can click any screen shot to view a larger version. Once a gamer, always a gamer, and while I may not play as many video games as I did in my teens and twenties, I do still enjoy the escape a good game provides. I grew up on SimCity video games back in the day. I would run out and purchase the newest versions as soon as they came out. I was tweaking and upgrading my PC to make sure that I squeezed the best performance possible out of it as my cities grew and the graphics requirements increased on the games. When I saw that a SimCity BuildIt game was available on my phone – are you kidding? I had to try it! I checked out the reviews on Google Play and they were actually really good, so I decided to give it a shot. Learn more about the premise of this mobile game. Learn more about the cost of SimCity BuildIt. Learn more about the objective of the game. Hear some thoughts about SimCity for children. Learn more about features & gameplay of SimCity BuildIt. What we think are the best and worst parts of the game. Learn more about the BuildIt online community. Overall review of the game with a category break-down. What is SimCity BuildIt and when did it come out? SimCity BuildIt is a spin-off game of the SimCity series for iOS and Android released by Electronic Arts. The game was soft-launched in Canada for Android on October 22, 2014, and in Canada, Australia, and New Zealand for iOS on October 24, 2014. The game was released to the rest of the world on December 16, 2014. ...build your city, grow your population and keep your Sims happy. What is the objective of the SimCity BuildIt game? If you’ve played SimCity games in past, then you likely already know what the basic premise is. If you haven’t played, that’s okay. It’s pretty simple – build your city, grow your population and keep your Sims happy. It’s this simple open play premise that originally lured me in all those years ago and it’s also what brought me back with SimCity BuildIt. While population growth may be one of the main goals, it is really up to each individual as to how you play the game. You could choose to be a friendly, positive mayor that wants to nurture his or her city. Or, you could choose to be a destructive mayor that reigns destruction down upon the city. 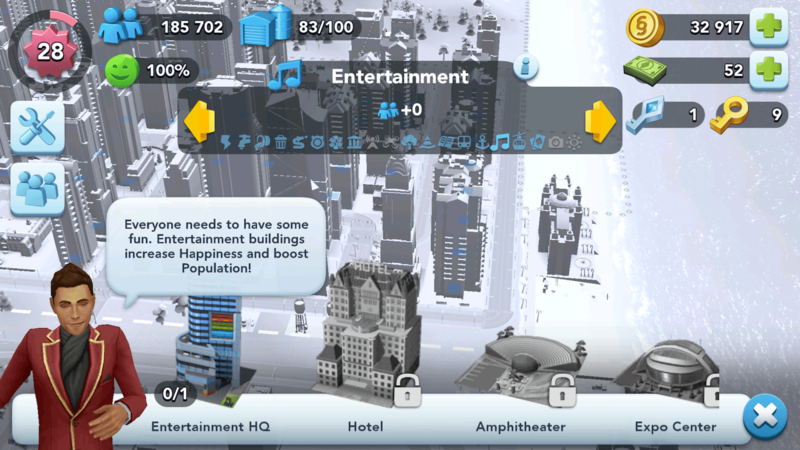 Flexibility of game play is not quite as strong in the mobile app SimCity BuildIt version of the game as was available in the PC version of SimCity. There isn’t really a storyline that you’re following in BuildIt, but this game is definitely more task-oriented than the PC version ever was. I’ll get more into detail about the SimCity BuildIt economy, but for example, the only way to expand the land of your city is to purchase land tracts (rectangles of land) to allow more time to build. Well, the only way to purchase those tracts is to buy or find bulldozer parts. If you can’t locate or afford the parts, you can’t grow the land area of your city. I personally found this to be a pretty frustrating aspect of the game. Build Residential Buildings – these are the basis for your city and are where Sims live. Every residential facility starts out the same, but they can be upgraded by adding items as you go. Residential areas don’t cost any money to build and pay you when they are upgraded. Residential areas aren’t “zoned” like in previous versions of SimCity for PC. There are also specialized residential buildings that are available later in the game. For example, you can build Parisian residential buildings once you have an airport. The small factory only allows 2 items to be produced at a time where the high-tech and nano-tech allow 5 items at once. 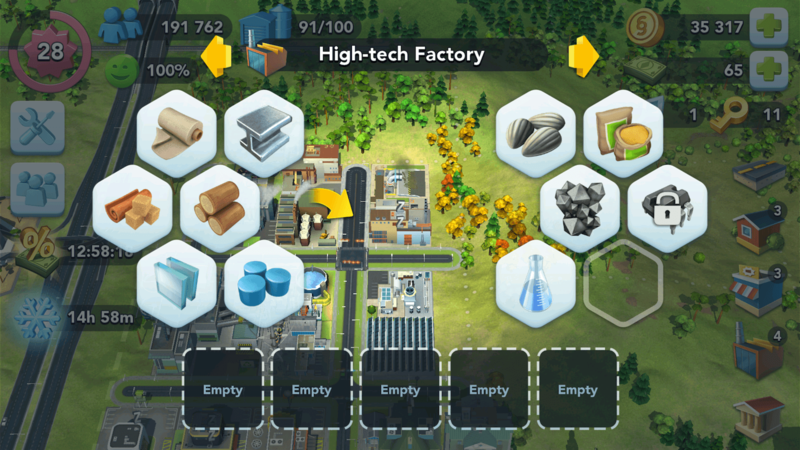 Click here for a great overview of factories in SimCity Buildit. 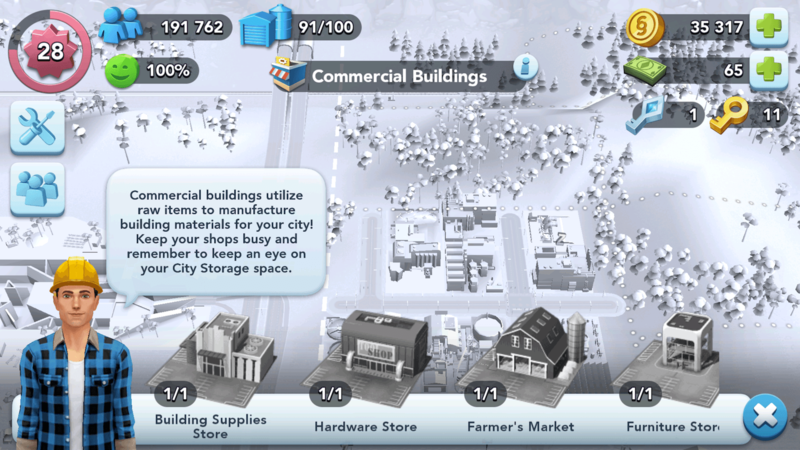 Check out this page for a lot more info about commercial buildings in SimCity BuildIt. Here’s a post with great tips on how to better plan which type of buildings to use, including power plants. Click here to learn more about the sewage buildings available. This is an interesting article about how to optimize the use of water resources in BuildIt. Build Waste Management Facilities – this is the city’s garbage collection. These are required starting at level 14 and up and include a small garbage dump, garbage dump, garbage incinerator, recycling center and OMEGA recycling center. Build Fire Stations – this includes small and medium-sized fire stations along with the large “deluxe fire station”.”Maxis Manor” is the highest level fire facility. This houses a SimCity BuildIt superhero. Like health and police, fire stations service a certain radius from the building. Build Police Stations – this includes small and medium-sized police stations along with the large “police precinct”.”Maxis Manor” is the highest level police facility. Like fire and health, police stations service a certain radius from the building. Build Health Facilities – this includes small and medium-sized clinics and large hospitals. “Maxis Manor” is the highest level health facility. Like police and fire, health buildings service a certain radius from the building. Build Educational Facilities – this includes a department of education building, library and schools. Like police, fire and health, parks service a certain radius from the park. Build Parks and Recreational Facilities – from small to large, you can add recreation for your Sims. Like police, fire and health, parks service a certain radius from the park. Add Landscape Features – from ponds and lakes to forests, you can add green areas to your city besides just standard parks. Landscape features don’t require adjacent roads the way parks do. Build Entertainment Facilities – these are specialized buildings such as hotels, amphitheaters and expo centers. The Entertainment HQ is required, which is available at level 20 or higher. Build Gambling Facilities – A gambling HQ is required at level 25 or higher. This allows you to build a gambling house, casino and other gambling related buildings. Again, this is different than the original SimCity where the mayor needed to decide between the benefits (money) and costs (crime) to adding gambling to his or her city. Build “ControlNet” Facilities – this is a specialized type of building in the game required for “OMEGA Homes”. Level 30 is required for these to be built. Build Transportation Facilities – this is much different than in the original SimCity, where you built a transportation network. Transportation is much more simplistic in BuildIt. Build Mountain Facilities – Your city borders on a mountain range, so you can build things like cottages, cafes, hotels and vineyards, just to name a few. Build Landmarks – these are unique and specialized buildings that start at level 30. Build Worship Facilities – Buildings such as a church, mosque, temple and other buildings can be added, starting at level 40. SimCity BuildIt is mostly a waiting game. You can visit one of your factories, for example, and ask it to build you some glass. That will take 5 hours to finish, so come back later when it’s ready. All of the items you can make in the game require certain “recipes” to produce and / or they take a certain amount of time to finish. The type of item depends on what’s required to make it and how long it takes. This is the concept that most directly reminds me of Farmville, and is an aspect that can really detract from the fun of the game long-term. All items you can make require certain “recipes” to produce and / or they take a certain amount of time to finish. As in the original SimCity games, you can bring “natural” disasters to your city. They don’t occur randomly as they did in some versions of the PC game. In BuildIt you use what’s called Vu’s Tower to bring disasters, which was also included in SimCity 2013 edition. Recovering from disasters earns you “golden keys” which are necessary to unlock certain specialized buildings (like landmarks). There is a feature in BuildIt called the Global Trade Headquarters, commonly referred to as GTHQ. This is one of the community aspects of the game, although, the marketplace is mostly anonymous. The GTHQ allows you to post some of your items for sale and also see other people’s items and purchase them using Simoleans (the main currency in the game). SimCity BuildIt Global Trade HQ (GTHQ) - Where you can buy and sell items. I personally feel the GTHQ is one of the biggest areas that require improvement in the game. When you post something to the GTHQ you have to “advertise” it for others to see it. You can only post and advertise one item per minute. You either have to wait 60 seconds to advertise the item or you have to use your Sim Cash (the secondary form of currency). It’s almost never a good idea to use Sim Cash on the GTHQ, though. When it comes to the GTHQ, I personally feel this is one of the biggest areas that require improvement in the game. You can only view a maximum of 20 items at a time and you can’t choose what you see. The listings seem to be completely random. Any item can be sold in GTHQ, including the specialized items such as Vu’s Tower, Beach, Mountain and Bulldozer items. Because of the limits on the GTHQ, it’s very rare that you’ll actually be able to find what you’re looking for, especially if it’s one of the more rare items in the game. Rather than the current market, I would suggest an auction system where you can bid on items and have more control on pricing. That way, you can get one of those rare items, if you’ve got the Simoleans to spend. Is there an in-game community for SimCity BuildIt? There are “sorta” two in-game communities within the game: the anonymous GHTQ economy and your friends (in real life) that also play the game. You can connect with your friends in the game by logging into the game via Google Play Games (for Android, of course) or via Facebook. Once you login using one or both of these services, you’ll see people in real life that you’re connected to in the game. 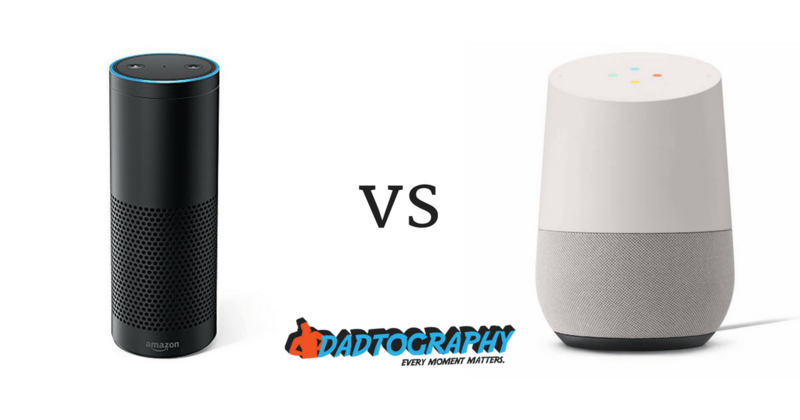 Personally, I find both features to be pretty weak. I already mentioned some of the serious shortcomings of the GHTQ. With your real life friends, all that you can do once you’ve connected with them is visit their cities. They can add stuff to their Trading Depot (where stuff is sold), but anyone that visits their city can see these items. There’s no way to interact directly or privately with friends. This method was also a “cheat” used by some players where they would create “ghost” cities, produce items and connect to their main city and “sell” items to themselves very cheap. Is SimCity BuildIt free to play? SimCity BuildIt is a free download, but it contains (a lot) of in-game purchase options. As mentioned, the primary currency is call the Simoleon. This is how you buy and sell items, build most buildings, etc. There’s also Sim Cash, which is a more rare currency and is used to either “purchase” Simoleans or other specialized items. You can buy (with real world money) Sim Cash, but it’s gonna cost ya. 8500 in Sim Cash will cost you $99.99 USD, unless you happen to catch a sale. Save your money and spend $14.99 on the PC or Mac version instead. This, hands down, is the most frustrating aspect of the game. When you consider that you can purchase the SimCity Complete Edition for Mac or PC for $14.99 currently and play it as often as you want with no restrictions, it really almost becomes comical that you can spend (literally) hundreds of dollars in this game and not have the same enjoyment of the PC or Mac version. Is the game appropriate for children? In some ways, yes, the game is fine for younger children. Although, it’s a pretty complex game once you get into it, so most children under about 10 years of age will struggle to understand how each aspect relates to the other. I definitely don’t recommend this game for children under 7 years old. Also, because of all the options to spend real life money in the game, you had better supervise children that play the game otherwise you may see an unexpected bill from their in-game purchases. Warning: supervise children on this game because of in-app purchases! What’s the best part about SimCity BuildIt in 2017? The graphics really are the best part of the game. It’s a very pretty game to look at, compared to other similar mobile apps and games. That was also one of the best parts of the SimCity PC games and EA did a good job on the visuals with BuildIt. What’s the worst part about SimCity BuildIt in 2017? If you’re like me, when you see a highly rated app on either the Google Play or Apple iTunes store, you tend to believe that it’s a pretty good game. Well, that’s not the case with SimCity BuildIt. The app is very highly rated on both Google Play and Apple iTunes, with a 4.5 out of 5 star rating on both platforms and almost 2.9 million reviews between the two platforms. Now, I’m not saying that EA / SimCity are fudging their Google Play and iTunes ratings, but it has been done before by other companies. What I am saying is that, if you look at other sites’ reviews, you’ll see an alternative story and ratings. The above sites average rating of the game is only 3.1 out of 5 stars. As we all know, there can be a huge difference in gameplay experience between a 4.5 star game and a 3 star game. I hadn't played a SimCity game in almost 10 years and was really excited to play SimCity BuildIt. I had really high hopes for this game, but ultimately was disappointed because of the high Google Play Store reviews. Perhaps after reading this, you won't be as disappointed as I was because you know more about how the game really is. What SimCity BuildIt tips or questions do you have? Be sure to leave a comment below!